This week kind of flew by for me, what about you all!?? Staying busy at work + trying to squeeze in some workouts and quality time with the kiddos and then all the sudden it’s Friday!! Looking forward to a fun weekend ahead, we have a family party to go to on Saturday and then another HUGE Chiefs game on Monday… if we win we are into the Super Bowl, something that Arshia and I have dreamed of for as long as we have been together (and far before that actually)! Looking forward to getting this weekend kicked off, so here we go with a new 5 on Friday! 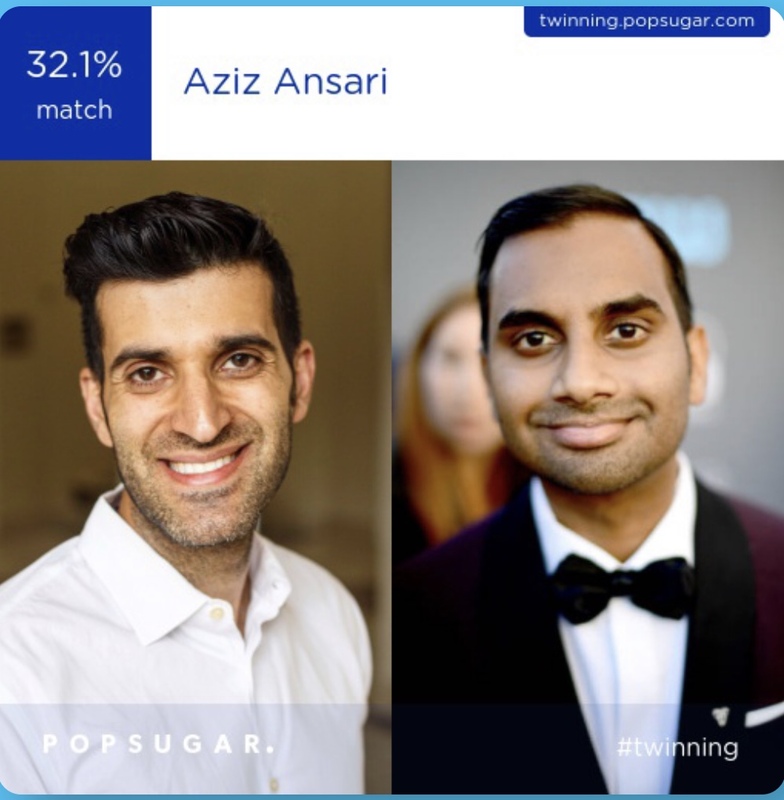 I recently came across someone’s stories on Instagram about how they tried out this celebrity look alike challenge from Pop Sugar so I thought I would give it a shot. You basically upload a selfie type photo onto the site and then they analyze your facial structure to see what celebrity you resemble. If I am being honest, I don’t totally know any of the celebrities that I look like but there is certainly a resemblance! 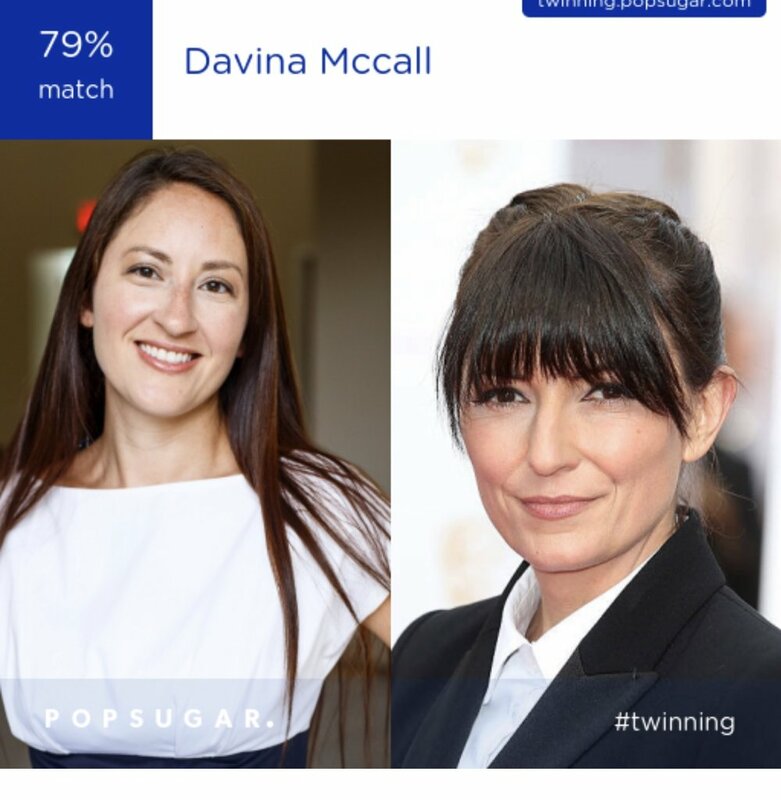 My closest matches were Davina Mccall and Anna Getty. Arshia is apparently twinning with Michael Mando and a touch of Aziz Ansari while the girls apparently are dopplegangers for Suri Cruise. 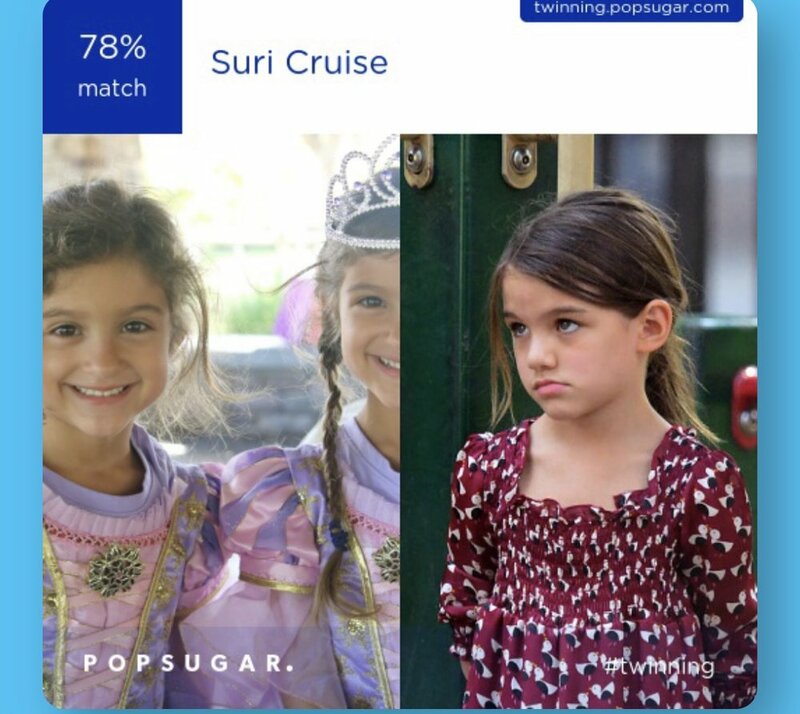 If you want to try out #twinning for yourself, it’s kind of fun to see, head on over to Pop Sugar! You guys know that I am a Disney fan through and through right!? Well imagine my surprise when I found out that Disney is not only about entertainment but they also are about educating people on business topics and have a while institute of learning set up with several courses for business owners and staff to take! I am absolutely intending on taking a course before too long but I immediately wanted to get my feet wet by picking up their book Be Our Guest, which teaches readers how to achieve the “Disney Way” of customer service. My goal is to apply it to our dental practice and make going to the dentist a more enjoyable experience for our patients. I want our patients to leave the office saying “WOW! !” So far I am learning lots of great tips, as always Disney does magic like no one else! Once things get more underway at our office this year I plan to do a full blog post with an office tour and talk about how we are trying to change the way our patients feel about going to the dentist! My father in law has been extremely hard at work renovating our whole office so I am super excited to share all the changes with you all just for fun! Well sometime many months ago it seems I talked on Instagram about how I was going to DIY a wooden bead chandelier because I really wanted one for above our bed in our bedroom but since money is tight right now, it is not a splurge I was able to make at this time. Well the birthdays, travel, and holidays all happened and here I am still working on what I thought would be a somewhat quick project. Truth be told, time wise it really isn’t taking to long, it’s just that I haven’t been able to devote much time to it as of late. Anyways, I hope to be done with it by the end of this month and I can’t wait to share the finished product and tutorial. It’s looking really great and so far I have spent under $100 on supplies (all from Amazon) and many chandeliers that look like this are anywhere from $300-600! I used to do a lot of DIY projects but really cut back since the girls were born and it has felt really good to delve back in to creative hands on projects! While I totally love color in my life, clothing wise I typically stick to neutrals + stripes. Lately though I have been attracted to bold colors like yellow and fuchsia and have been pretty excited about the new rainbow stripe trend that I am seeing pop up at all my favorite stores and boutiques lately. Here are a few pieces that I am totally crushing on and the first photo is a sweater that I picked up at Nordstrom Rack that I totally love and can’t wait to wear next weekend when Arshia and I head to Portand. I have also found a few cute pieces on Amazon as well. I think these will be the perfect transition pieces for spring on into summer and I’m so happy that I am beginning to add more color into my wardrobe! You can find this one on Amazon! Love the simplicity of this one, it can also be found on Amazon! I’m going to be honest and let you all know that I have actually never really been one to celebrate Valentine’s Day, I just always felt I would rather not celebrate a “forced” celebration of love. It always meant more for my boyfriend (and now husband) to show me tokens of affection on other days throughout the year where it would take me by surprise and add to the joy. Plus the price gouging on this holiday is just ridiculous! And now I digress. I decided this year that I really want to start celebrating the holiday as a family. I want my girls to see their dad celebrating love and in turn expect that from their future (very, very future) partners. I’m thinking a fun themed family dinner and some kind of fun activity with the girls during the day. I’ve been browsing through Pinterest looking for some fun ideas and found a few fun little things but still have yet to come up with an idea for the family dinner. Any suggestions from you all would be very welcomed! Also, this will be the first year that the girls are in school and I have always seen the photos circulate on Facebook of the Valentine’s Boxes and I am not sure if the girls’ class will be doing this or not since they are so young but I want to be prepared so I found a few ideas for those as well. That’s all for this edition of Five on Friday! You can always view any of my other such posts by looking through those listed under the tag (you know in case you find yourself in a moment of boredom 😂). Have a great weekend friends!